Dr. Beadnell has extensive training and experience in the field of dental implants, orthognathic surgery, oral pathology, and TMJ disorders. United States Air Force. He completed his residency in Oral and Maxillofacial Surgery in 1988 at David Grant USAF Medical Center at Travis Air Force base in California. After serving in the USAF for three years as a staff Oral and Maxillofacial Surgery at Scott AFB, Illinois, a regional medical center that gave him a wide range of experience in all aspects of oral surgery. After serving 11 years in the USAF, Dr. Beadnell began his private oral surgery practice in Portland, Oregon in 1991. In addition to his private practice, he also works one-half day a week as an Adjunct Associate Professor in the Department of Oral and Maxillofacial Surgery at Oregon Health Sciences University, working with dental students and OMFS residents. He is on staff at several Portland hospitals. Dr. Beadnell actively pursues continuing education courses and also lectures extensively to various dental groups throughout the Pacific Northwest. He is an active member in several local and state Dental and Oral and Maxillofacial Surgery organizations. Steven W. Beadnell, D.M.D. is a Diplomate of the American Board of Oral and Maxillofacial Surgery and a Fellow of the American College of Dentists. 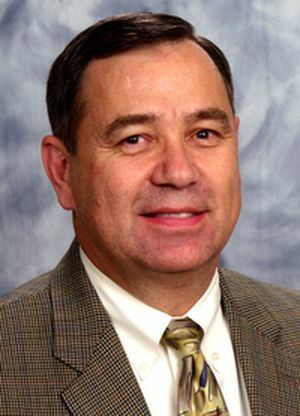 He currently serves on the Board of Directors for the Oregon Society of Oral and Maxillofacial Surgery, the Western Society of Oral and Maxillofacial Surgery, and the OHSU School of Dentistry Alumni Association. Dr. Beadnell has been married to his wife since his senior year of dental school. They have two daughters, the youngest of which, has become a Dentist. Outside of oral surgery, Dr. Beadnell's passions include spending time with his family, traveling, and attending Trail Blazer basketball games.